Jewish Facts From Portland: Where Did Abraham Come From? The Israelites, of which Abraham was from, came into Canaan from the east. "While we use the north as our major direction the Hebrews used the east and all directions are oriented to this direction." How far east is not known, but it could have been from the area of the Euphrates River. The Tigris-Euphrates Rivers are part of Tigris-Euphrates Palearctic eco-region, which includes Iraq and parts of Turkey, Syria, Iran, Saudi Arabia, Kuwait and Jordan. "And the name of the third river is the Tigris, which flows east of Assyria. And the fourth river is the Euphrates." 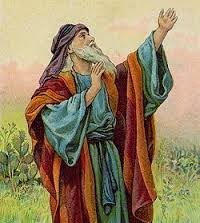 Abraham is the biblical father of the Jews, Christians and Muslims. Jews and many Arabian tribes that have spread out all over the Middle East trace their ancestry to him. He was the son of Terah and the father of Ishmael by his concubine/2nd wife who was the daughter of the Pharoah, Hagar and father of Isaac by his wife and niece, Sarah. As far as I can understand, he carried the haplotype of J1c3d, or maybe back then it was only J1. After all, through time it should have mutated a bit. J, J1, J2 haplotype arose 10,000 to 15,000 years ago in the Fertile Crescent. Abraham lived only c 4,014 years ago. Men who carry this haplogroup includes Jews, Arabs, Armenians and Kurds. It is found at its highest frequencies in Iran and Iraq, from where it most likely originated, and then was carried by traders much later into Europe, central Asia, India and Pakistan. J2 is believed to be associated with the spread of agriculture during the Neolithic Period from Anatolia and is found throughout central Asia, the Mediterranean, and south into India. while the majority of haplogroup J is not Jewish, the majority of Jewish men fall into J. The Cohen Modal haplotype is found to be in haplogroup J1 and mainly in J1c3d which is also found in some Muslims. Aaron, brother of Moses, was the first Cohen. He had had many children, and they were the Cohens in the synagogue, which means they were first to read from the Torah, among other duties. Abraham would have had this haplotype. Abraham lived in the 2nd millennium BCE. or 2,000 BCE which was 4,014 years ago. Abraham, or first named Avram, left his birthplace of Ur of the Chaldees (probably was Ur of the Cassites). It was an ancient Babylonian city now a part of Iraq. Modern excavations in the ruins, conducted by Sir Leonard Woolley, have revealed the highly-civilized nature of the city in Abraham's time as well as evidence of an extensive flood at an earlier date. Abraham had pitched his tent among the Canaanites and Philistines of what was to be referred to as Eretz Yisrael by the Jews, or Israel in the days of King Saul, or Judah by King Solomon's son, Rehoboam from 933-917 BCE, or Palestine after 135 CE. Moses, a descendant of his, lived from 1391 to 1271 BCE. "Genesis 11:24-12:13 "When Nahor had lived 29 years, he begot Terah. And Nahor lived 119 years after begetting Terah, and he begot sons and daughters. And Haran begot Lot. Haran died in the lifetime of Terah, his father, in his native land, in Ur Kasdim. And Abram and Nahor took themselves wives; the name of Abram's wife was Sarai, and the name of Nahor's wife was Milcah, the daughter of Haran, the father of Milcah and the father of Isaac. And Sarai was barren, she had no child. .....They left Ur to go to the land of Canaan; they arrived at Haran and they settled there. Abraham visited Egypt and then returned to live in Hebron, which is now in Judea or the southern part of Israel. He had to fight against Chedorlaomer, king of Elam, Amraphel, king of Shinar and their allies in order to save Lot, his nephew, so he had enough men with him to accomplish this. G-d appeared to him in a vision and promised that his descendants would inherit the land from the river of Egypt to the Euphrates river, from west to east. The test of his loyalty to G-d was when G-d ordered him to sacrifice his son Isaac, the only son with him at the time since Ishmael was the son he had to send away due to friction between Hagar and Sarah over the sons. Sarah felt that Ishmael, being older, was hurting Isaac. The Muslim narrative has Ishmael being sacrificed by Abraham instead of Isaac, with Abraham being stopped before he does it as has happened in the Jewish narrative. . When Sarah died, Abraham bought the cave of Machpelah as a family burial place. He married a 3rd wife, Keturah. He died at age 175 and was buried in the cave. Abraham was the founder of monotheism.. He is the prototype of humility and kindness and was famous for his hospitality. Circumcision was introduced, possibly from Egypt as they have pictures on their walls of doing this and it became the covenant of Abraham our Father. The year was 2047 from creation and Abraham was now 99 years old and Sarah was 89 and Ishmael was 13. He circumcised Ishmael. This is when Abram's name was changed to Abraham , adding "father of a multitude". Before his name of Avram was av Aram, father of Aram, his native country. Aram (Arameans) is pretty much Syria and Mesopotamia. At the end of the 11th Century, Assyria was threatened with invasion by Aramean tribes, and only at the end of the 10th did she finally succeed in averting the danger. War then continued between them. Aram-Dammesek was the most important Aramean kingdom in Syria in the 10th to 8th centuries BCE called after its capital, Damascus/Dammesek in Hebrew. According to Hellenistic legends, Abraham was king of Damascus, Syria. Arab legends claim he laid the foundations for the sanctuary at Mecca. The first inhabitants of Canaan were called the Canaanites. By 3000-25000 BCE, these people seem to have been largely Semitic speaking; They introduced the use of bronze and developed cities. There were 7 tribes which dominated the country. Egypt in the south and Assyria in the North held long struggles over its control. The dominated the local scene down to the 19th century BCE and this had already begun. The country was now divided into large numbers of warring city=-states ruled over by petty "kings." The Tel El amarna letters throw much light on conditions in the land in the 15th century BCE and on the conquests of the Semitic ""Habiru," denoting or comprising incursions by the Israelite tribes. The Israelite invasion was a slow and difficult process. They first established themselves in the plains, and only gradually obtained control of the hill-country; the process was completed with the capture by David of Jerusalem in c1000 BCE. Meanwhile, the warring Israelite tribes, sometimes disunited, ruled over by regional Judges, were the prey of other invaders from the north and east. The most dangerous were the Philistines, who were sea invaders from the Aegean who had firm control of the Maritime Plain in the 12th century BCE and then pushed inland. Their threat forced the union on the Israelite tribes at last, through the spiritual dominance of Samuel and the military genius of King Saul who established a monarchy for the entire country. His work was completed by his son-in-law, King David, who finally crushed the Philistine menace and enlarged the boundaries of the state in all directions. His son, King Solomon, raised the kingdom to magnificence by his maritime enterprises, lavish court and ambitious buildings, including the Temple in Jerusalem to serve as a religious center. His heavy taxation caused the northern tribes to revolt. From then on the land of Israel was divided into 2 states, Israel and Judah.